Fend off the chilly weather with a mug of these Hot Ginger Cider Cocktails – a great fall batch cocktail for a party! 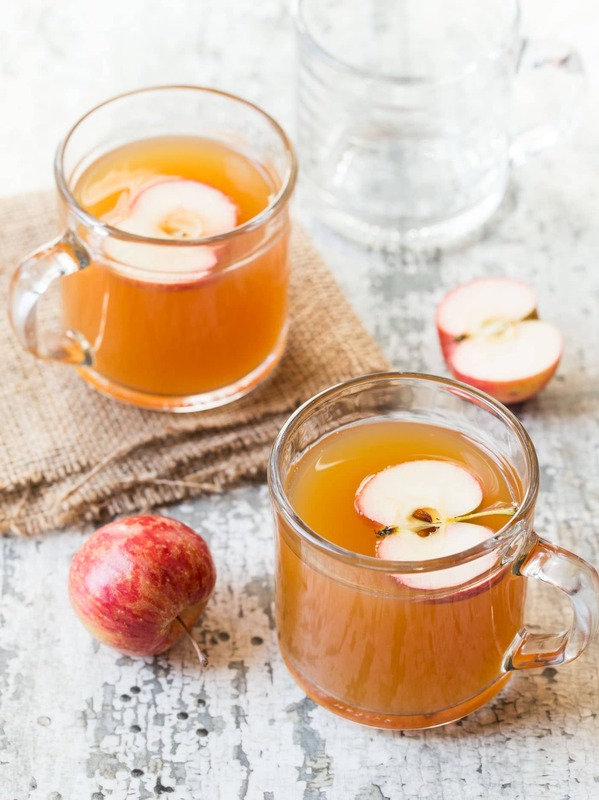 Nothing beats a warm beverage after coming in from the cold, and these Hot Ginger Cider Cocktails are a delicious way to warm you up from the inside out. Filled with fall flavors like spicy ginger and fresh apple cider (plus a healthy dose of smooth bourbon), I’m betting you’ll be back for more than one mug! These Hot Ginger Cider Cocktails are so simple to pull together, and I love making them as a batch cocktail for parties – anything from tailgating to holiday gift wrapping parties to cookie exchanges. Serve straight from a pot on the stove or keep the drinks warm in a slow cooker with a ladle nearby so guests can help themselves. Tip: We love Domaine de Canton, the ginger liqueur we used in this cocktail. It’s a bit on the pricier side, but we have loads of other drinks you can use it in. A few of our favorites are the Ginger Pear Martini, the Gold Rush Cocktail, and the Ginger Grapefruit Sparkler. 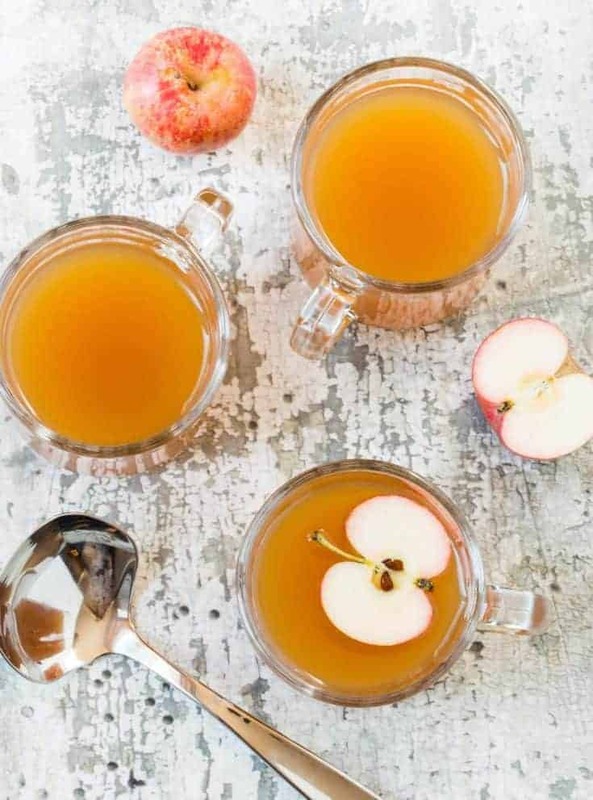 Add the recipe for these Hot Ginger Cider Cocktails to your next party menu and raise your mug to toast the changing seasons with friends and family! Place apple cider, bourbon and ginger liqueur in a saucepan and warm through. Stir in fresh lemon juice and serve immediately.